Down a corridor inside the Library of Congress’ Thomas Jefferson Building, a code just for members of Congress guards a special room. Even lawmakers’ spouses can’t walk into the Congressional Reading Room alone. 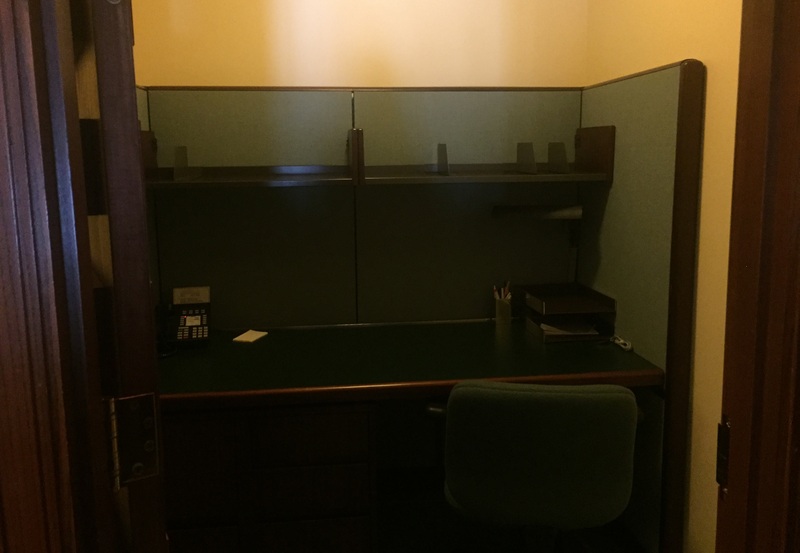 But when a member of Congress unlocks the door, it opens to a private space staffed by a Congressional Research Service employee, there to answer questions and assist members seeking materials. The room is stocked with periodicals, books, desks and computers. A tiny staircase leads to a balcony with four offices, enclosed for silent seclusion. 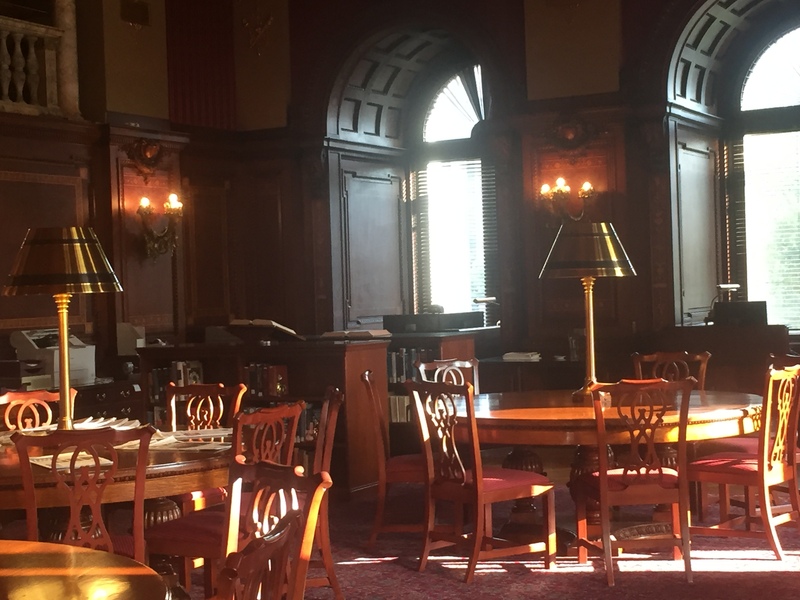 Members come here to work on individual research or books they may be writing, but the reading room is not as well traveled as it used to be. The history of the room sheds light on a different era of Congress. Before 1897, when the Library of Congress was inside the Capitol, members would run off the House or Senate floor, grab a book and bring it back for debate. When the library moved to its own building in 1897, later called the Thomas Jefferson Building, it came with two members-only spaces. These private retreats — formerly the House and Senate reading rooms — were high on the priority list when planners laid out the building, according to “Treasures of the Library of Congress” author Charles Goodrum. Soon after World War II, the original House reading room turned into a members’ event space for meetings, staff retreats and receptions. The original Senate reading room became the exclusive space now used by members of both chambers. Books were shelved on the balcony, where the four offices now sit, so as not to block the ornate walls. In the 1960s and 1970s, librarians would rest on cots in the balcony during 24-hour filibusters, ready to dispatch pages of filibuster text to the Capitol far into the night. The former House Reading Room, now the event space, is larger and used for many functions. Two Siena marble fireplaces featuring mosaics of “Law” and “History” bookend the room. Seven “Spectrum of Light” panels cross the ceiling, each with a central figure representing human or divine achievement. Seven colors represent different types of achievement, such as poetry, science and research. 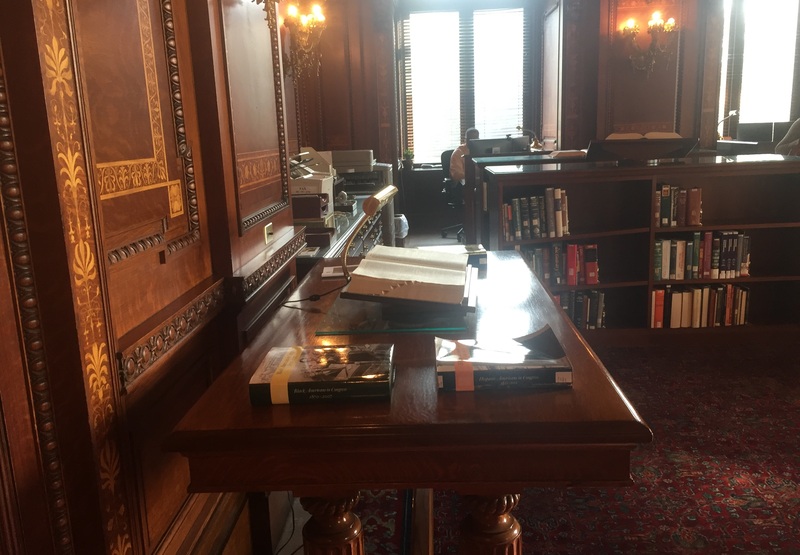 While staffers and visitors might find themselves in the former House Reading Room for work or an event, some may never see the inside of the Congressional Reading Room, where the members-only tradition lives on.